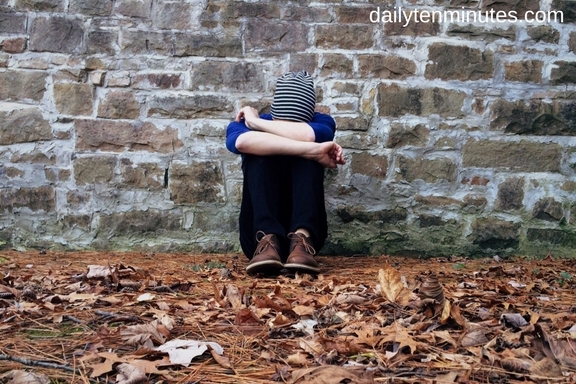 7 Reasons You Need To Stop Being An Introvert! - Something New Everyday! Home confidence relationship self audit 7 Reasons You Need To Stop Being An Introvert! 7 Reasons You Need To Stop Being An Introvert! Being an introvert wasn’t always your choice. Nature just blessed you with that response to people’s stimulus. But I how envious you are of those few blessed people who can just mingle with everyone and absolutely steal the show with their zeal while you sit here and imagine conversations in your head. Do you realize you are missing out on so many opportunities while being wrapped in a cocoon of being an introvert? Its time you break out of it and try the extrovert way of life. Here are 7 most convincing reasons why you need to transcend to the other side! 1. People think you are weird. Your first response when someone tries to talk to you at a public gathering is: flight. Naturally people aren’t accustomed to being greeted with gestures that say ‘not-interested-in-talking-to-you’ and they end up thinking you are really weird. You may be a goof-ball who has the potential to be the star of the party but this introverted demeanor is really killing your mojo! 2. You are not I'mportant at parties. To begin with, an invitation to a party itself should be news to you. But once you are there (after having debated with yourself for hours) your presence, or the lack of it is almost insignificant after the customary greeting! Come on, even you know you deserve more than being waived off for not being interesting enough. 3. No social media points for you. Your Facebook timeline is as empty as your life! There isn't anything happening in your virtual world either, while there are those who will give you every detail of every waking minute they have spent having a ball. Well, I know it's not like your life depends on social media presence, but come on you Neandertal, world survives on that now! 4. You get overlooked. A lot. Imaginary conversations that go on inside your head don't get picked up by people in vicinity you know, real sounds of words being spoken have to come out of your mouth to garner attention. Obviously you get overlooked a lot and this will continue to happen until you don't make an effort! 5. You have no clue how networking works! Hey, the whole point of meeting people in public is to build good network. That is going to help you climb the ladder up to your desired level of social standing. So start talking to people. As you know, the world works through contacts these days and you have few to none! 6. Your love life is boring. You don't 'Netflix and chill'; you just Netflix. That's the summary of your life life. Even Big BangTheory's Amy and Sheldon have a better chance at finding love than you. Not speaking to your date while you are on one is as good as eating alone. Accept it. Your love life is boring. It's time you take charge of it! 7. You don’t get I'mportance at work. You may be very good at what you do, but you are the last person who will raise their hand in the crowd. You need to get more upfront and proactive about your approach. Can you do that? Well, you haven't so far. But now you can!